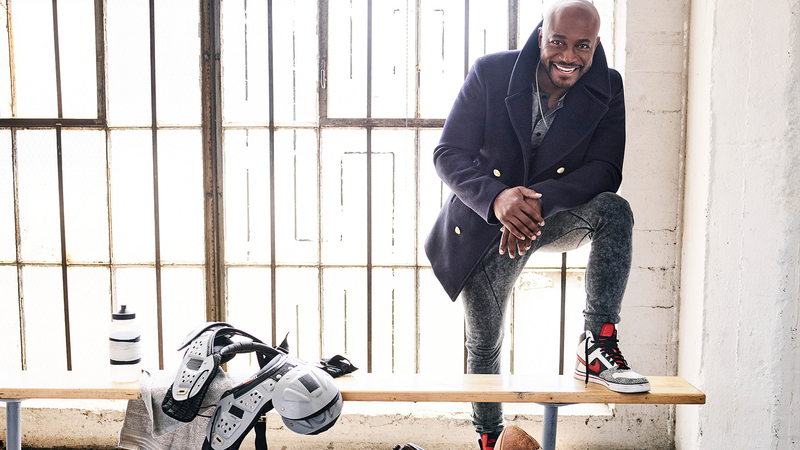 Poise meets sweat in these hot new photos of All American star Taye Diggs—who is always in fine form, both on and off the football field. Get a sneak peek at these on-trend athleisure looks and don't miss the upcoming November-December 2018 issue of Watch! featuring Taye Diggs—on newsstands 11/20! Photography by Jeff Lipsky. Styled by Michael Nash. Peacoat by Balmain. Henley by AllSaints. Sweatpants by Zara. Shoes by Nike. Custom duffel by Louis Vuitton. Chain by David Yurman. Earrings, Diggs' own.